The channel in the foreground is Wolf River Harbor, which is the former mouth of Wolf River. The channel in the background is the Mississippi River. 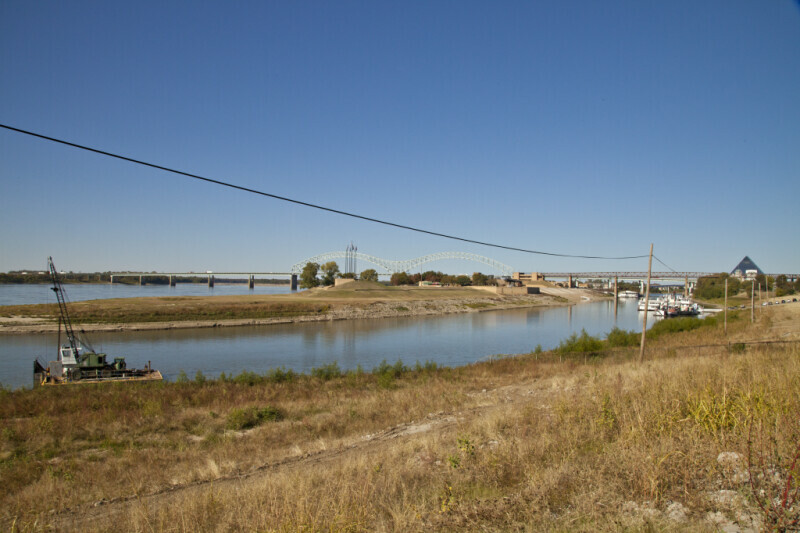 The greenspace, on the far side of Wolf River Harbor, is the site of Mud Island River Park. The two-span, through arch bridge, in the distance, is the Hernando de Soto Bridge; the western approach crosses the Mississippi River. The brown, metal truss bridge is part of the Memphis Suspension Railway. To the far right, the top of the Pyramid Arena can be seen.